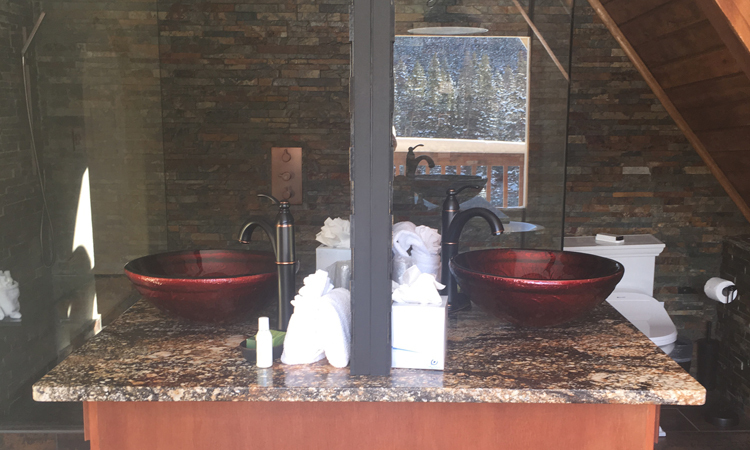 The cozy suites feature alpine-inspired designer décor and come in the perfect size for your vacation. 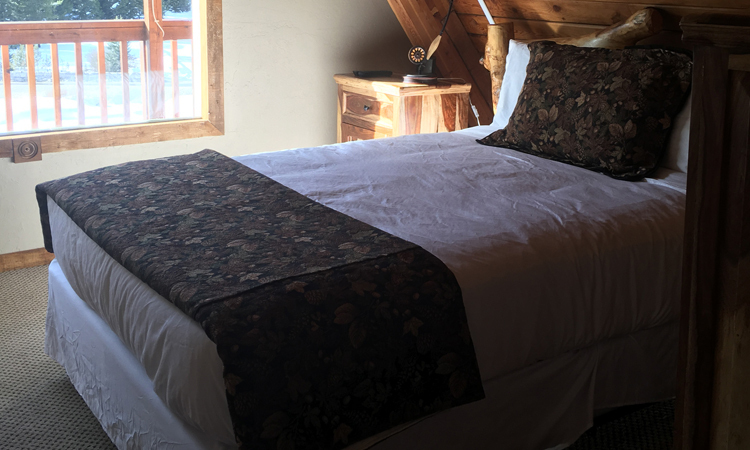 Relax and unwind while beautiful mountain, river and wooded vistas await just outside your window. 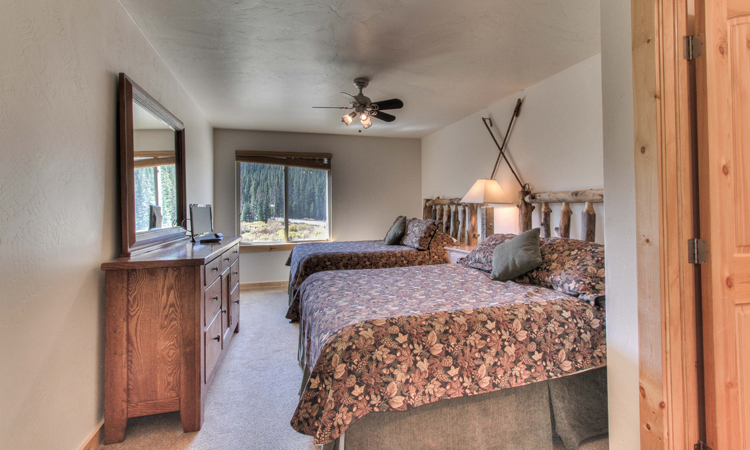 There’s plenty of room for up to four in the one-bedroom suite, with two queen-size beds in the Master bedroom. 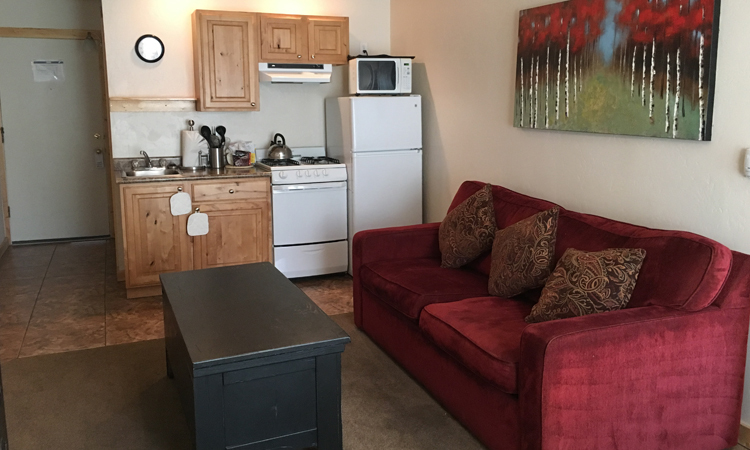 This spacious condominium is complete with an air mattress, televisions and DVD players, premium bedding and linens plus a full-sized kitchen with refrigerator, stove and dishwasher. 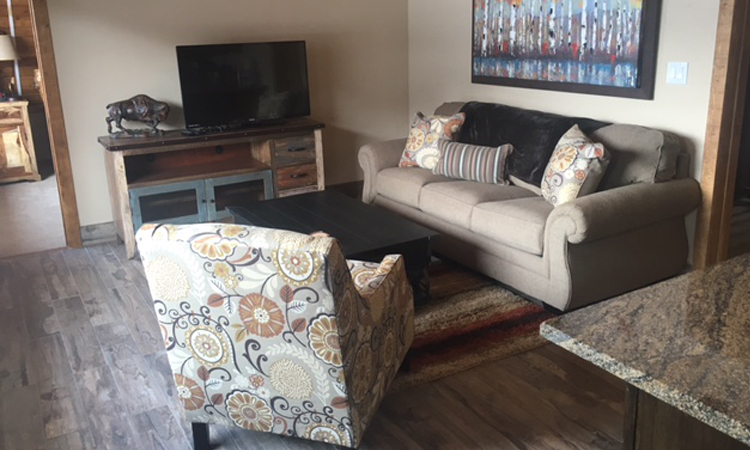 Enjoy the scenery from your private balcony, available on first and second floor units (except 204). 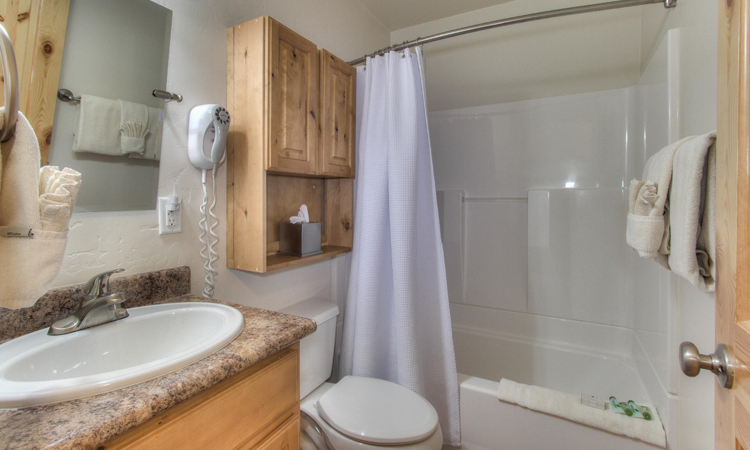 Bathrooms feature Bath & Body Works® products and a hair dryer. There are no balconies on third floor units. No pets and no smoking allowed. 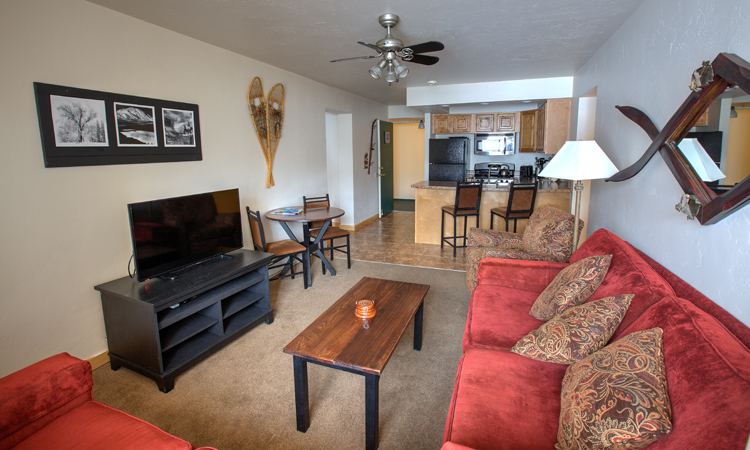 No air conditioning and no elevators, stairs are required to access suites. 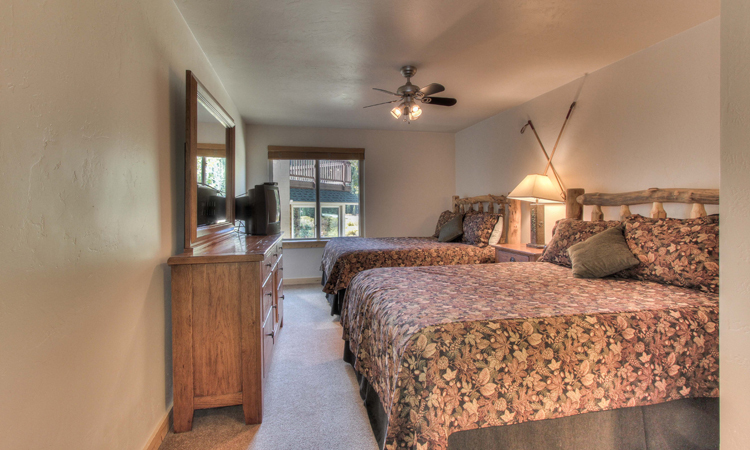 Our two-bedroom, two-bath suites accommodate six with two queen-size beds in each bedroom. 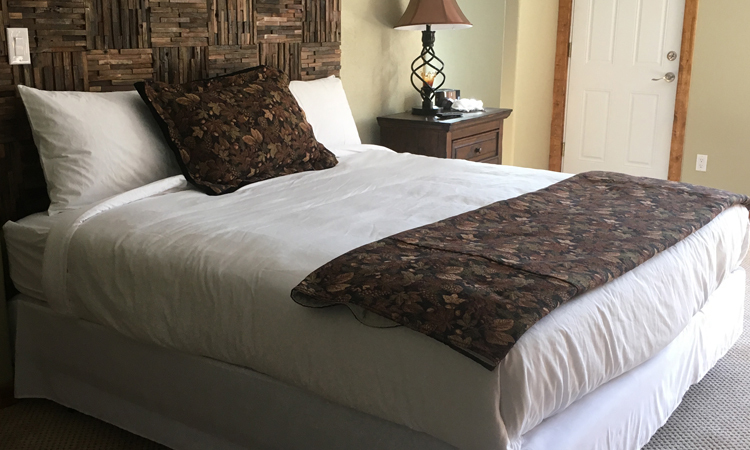 The condominium is complete with an air mattress, televisions and DVD players, premium bedding and linens. 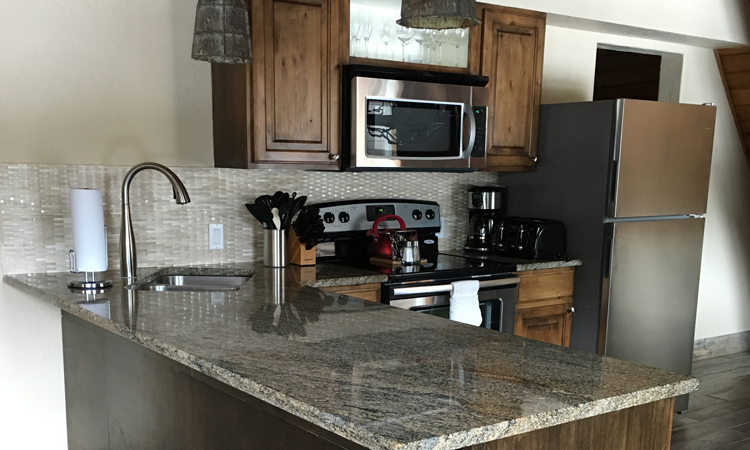 The first floor units have a partial kitchen with stove, refrigerator, mini sink and microwave; the second and third floor condos have a full-sized kitchen with bar seating, refrigerator, stove and dishwasher. 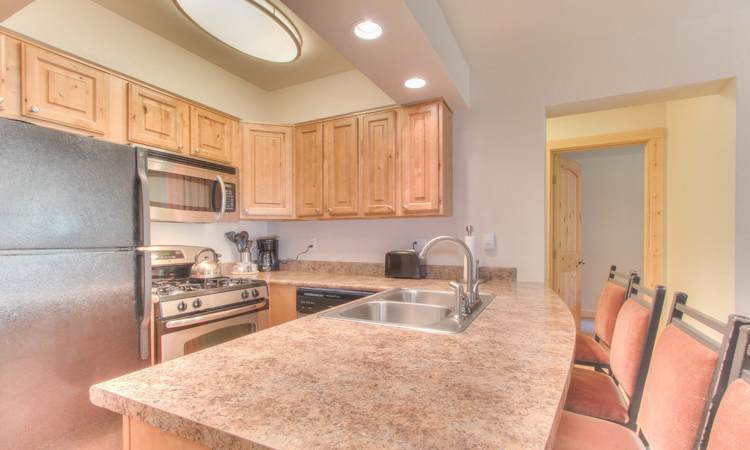 Enjoy the scenery from your private balcony, available on first and second floor units (except 204). 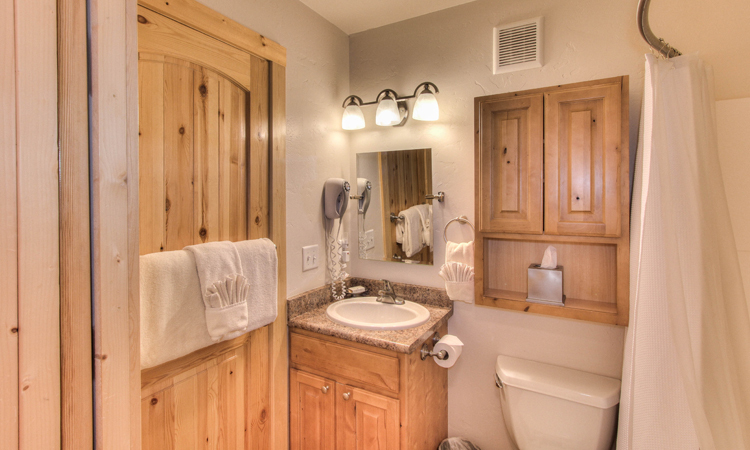 Both bathrooms feature Bath & Body Works® products and hair dryers. 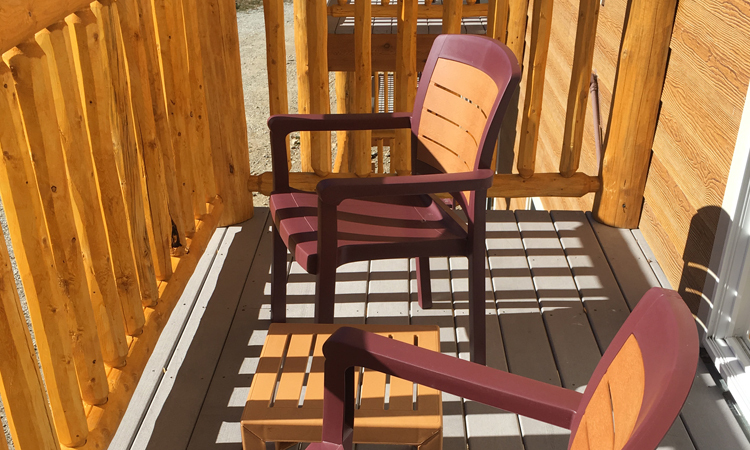 There are no balconies on third floor units. No pets and no smoking allowed. 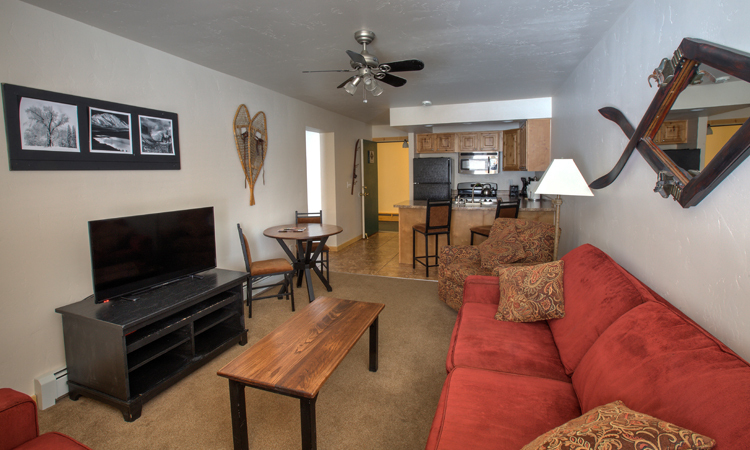 No air conditioning and no elevators, stairs are required to access suites. 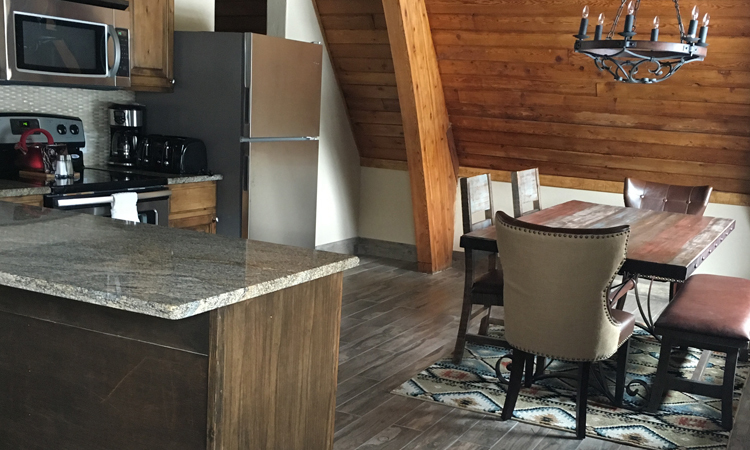 Vacation in the lap of luxury in the beautifully rustic and generously appointed two-story Grande Suite. 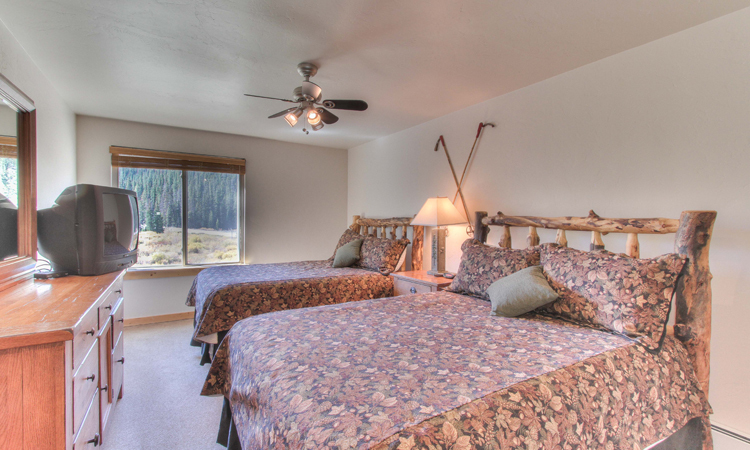 This spacious two-bedroom, two-bathroom suite includes a queen-size bed in the main floor bedroom and king-size bed in the master bedroom, full kitchen, laundry facilities in unit, three cozy electric fireplaces, two balconies with separate entrances and stunning mountain views from large picture windows. 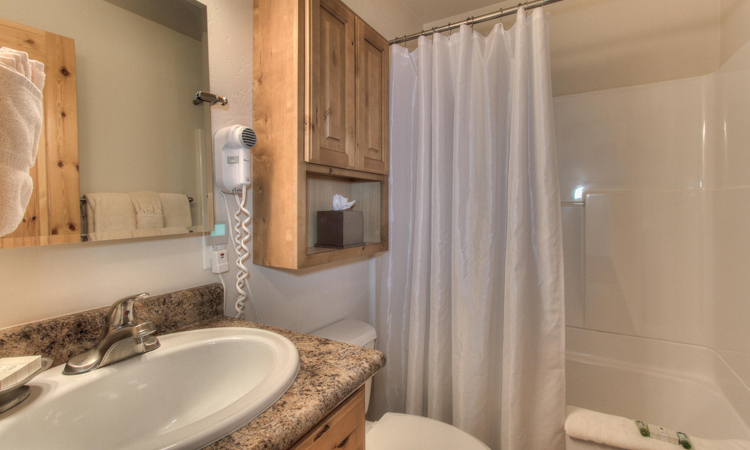 Both bathrooms feature Bath & Body Works® products and hair dryers. No pets and no smoking allowed. 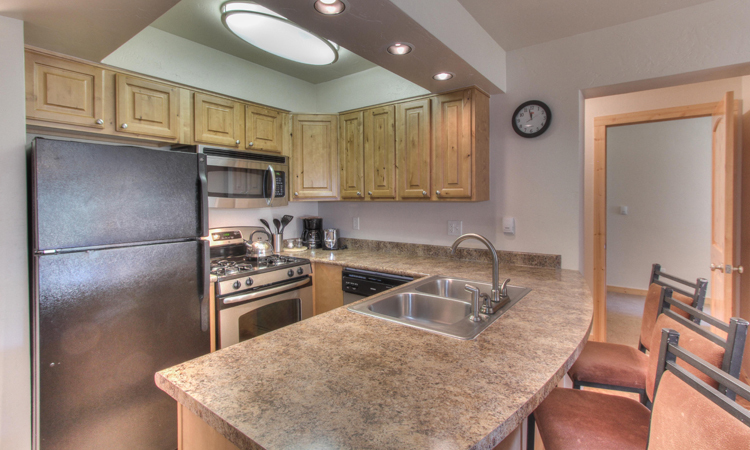 No air conditioning and no elevators, stairs are required to access suites.